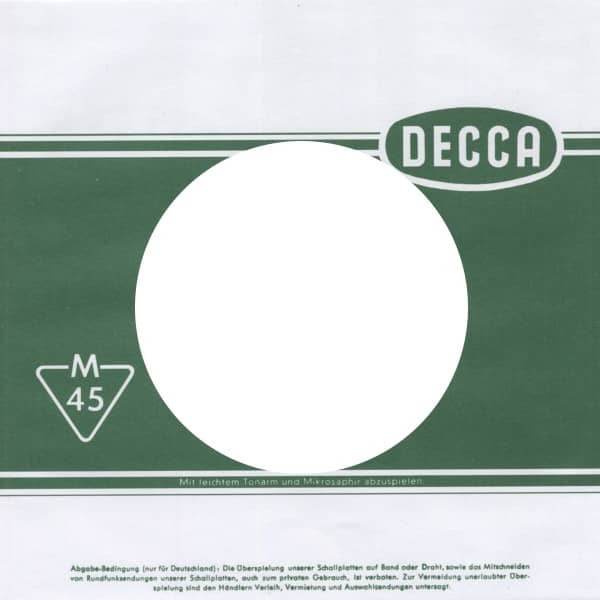 10 pcs/stk - High quality reproduction of the original DECCA RECORDS 45rpm record sleeve. 10 pcs/stk - Hochwertige Reproduktion der Original DECCA RECORDS 7inch Vinyl Single Papierhülle. High quality reproduction of the original 45rpm record sleeves. Hochwertige Reproduktion von Original 7inch Vinyl Single Papierhüllen. Reproduction de haute qualité de l'original en vinyle de 7 pouces. Customer evaluation for "(10) Decca - 45rpm record sleeve - 7inch Single Cover"